Spring cleaning... My favorite time of the year. As I write this, I sit starring at "that chair" in the corner of my room covered with clothes that need to be put away. Sigh... Maybe tomorrow. As you can probably guess, I'm the one who lives in organized chaos, but even I can understand the importance of a good deep cleaning. While I may not be someone who wakes up on a Saturday eager and ready to deep clean, I have found that daily maintenance makes the deep Spring-cleaning much easier. I have to admit, I can be a bit of a procrastinator, especially in situations that are not fun or really needs to get done doesn't make it any easier to actually get up and do it. This can leave me half paralyzed. I end up in a vicious cycle feeling the weight of an ever-expanding to-do list with no motivation to do anything about it. I've even been there spiritually. Instead of the ever-expanding to-do list, it's the nagging feeling of guilt and shame or of knowing I need to spend time with the Lord and reprioritize. But for some reason, lack of motivation, lack of time, shame... I just can't seem to get back to that place. My day-to-day routine has been neglected. Maybe you've been there too; in a place where you need a spiritual deep cleaning. You haven't kept up with the day-to-day and now you've got a huge mess to pick up. You aren’t sure where to even start. You need a fresh start, a clean sweep to be reenergized. The cool thing about the Lord is that his mercies are new every morning. His grace is so awesome and it always comes rushing in to fix our broken messes. 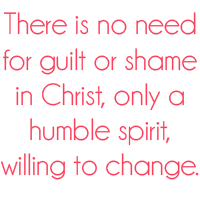 There is no need for guilt or shame in Christ, only a humble spirit willing to change. By simply going to the Lord with your life and asking for his help, you set yourself up for success. It's then and there that the process can begin. It's definitely not always a fun process, but much like cleaning your bathroom, it's necessary. It's in these moments that He begins to clean up your mess and replace the broken pieces and restore and refresh spaces making you new again. I thought I might offer a few helpful tips. 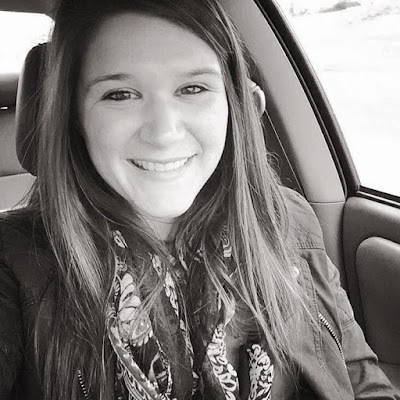 Some practical ways to avoid finding yourself trapped in this cycle. Perhaps with a few “simple” steps you can avoid some of the same mistakes I have made in my walk with Christ. I can't wake early because I'm not a morning person; my show went too long and I'm way too tired to pray now; Believe me, I can come up with a whole lot of convincing excuses. But think about it. We are only hurting ourselves when we excuse away our time with God. He is longing to hear from us and to speak to us and He can't do that as well if we aren't spending time with Him. You're human! Chances are you will oversleep one morning and barely have enough time to brush your teeth, much less, read your Bible. It's ok. I wouldn't suggest making a habit of it, but don't allow shame to ruin your day and hinder your time with the Lord in the days to come. Talk to the Lord throughout the day. Have a set time where you meet with Him, but make room for Him during the rest of the day as well. It will only enhance your relationship. This is a great way to set up a new routine and remind you of why you do what you do. Remind yourself what is important to you and what is the most important to you. You may find that priorities get shifted when you take this time to refocus and make the main things the main thing in your life again. It doesn't have to look the same everyday. Your relationship with Jesus shouldn't be boring! Take a walk and talk to Jesus, pray with a friend, sit still and listen, cry out loud to him, sing songs in worship, the point isn't to fit a pattern, it's to know Christ. After you do some deep cleaning in your home, it's always fun to step back (just before taking a well deserved nap) and admire the hard work and the transformation that came from it. Whether it's a sparkling white bathroom, perfectly organized closet, or freshly folded laundry, it's definitely a feeling of accomplishment. It works the same way with your spiritual life. You are able to see how far you've come, how much the Lord has changed you, and how much more you look like Him. All of the commitment and all of the struggle definitely pays off!! Take time to do some spring-cleaning in your spirit with us this March! Don’t wait, let’s get started together!